This always depends on your particular complaint. Most problems resolve after 3 or 4 treatments, some only take one. Usually the longer that you have had a complaint then the longer it will take to treat. Some people will be recommended to return periodically for long-term management of a condition. Your treatment plan will always be discussed and agreed with you on your first visit and you will be given an idea of how many treatments you may need. If for some reason you cannot attend for your appointment, could you please let us know as soon as possible as this may allow another patient in acute pain to be treated in your place. However repeated late attendance or failure to attend may result in the full fee being charged. Initially we will take a detailed case history from you including a full medical history as part of the process of diagnosing your particular complaint. This involves asking a few questions about why you have come along, a bit about your presenting problem, how long you have had it? what started it off? etc. The reason for asking about your medical history is to see if there is anything relevant to us undertaking any treatment and make sure that it is safe to treat you. This process usually takes about ten to fifteen minutes to complete. We will then proceed to perform an examination. It is not always necessary, but depending on your complaint you may be asked to remove some items of clothing to enable us to do this. You may feel more comfortable if you bring along or attend wearing some loose comfortable items of clothing to allow access to the problem areas. You are welcome to bring a friend or relative with you into the treatment room if it makes you feel more comfortable. 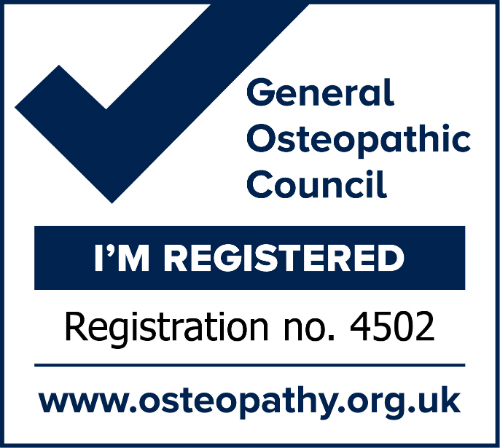 At this point the osteopath will decide if your particular complaint is appropriate for treatment and if so then a detailed explanation of the diagnosis and proposed treatment will be given to you. Please note that the case history taking and examination will take up a proportion of the time allocated for treatment on the first visit. Please do not hesitate to ask any questions about anything that you do not understand about the proposed treatment. If your condition is not appropriate for treatment then you will be referred to a suitable practitioner such as your G.P. and will not be charged for the consultation.